Window coverings such as blinds and shades are great for keeping out unwanted light, but they can also pose a potential strangulation hazard to children. The U.S. Consumer Product Safety Commission states that since 1990 there have been more than 200 children and infants that have died due to accidentally strangling on blind and shade cords. Those that have children in their home should replace all window blinds and shades with cordless products to avoid this type of tragedy. Window coverings that were made before 2001 can have long looped pull cords that can become a potential strangulation hazard to small children and infants and should be replaced. 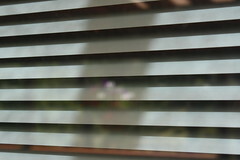 Almost every style and type of blind and shade is now available in a cordless version. Miniblinds, horizontal blinds, pleated and cellular shades are now made with spring-loaded mechanisms instead of hazardous cords. Some people have replaced corded blinds and shades with roller shades and curtains to avoid having window coverings with cords. The Window Covering Safety Council recommends the following safety tips to lessen accidents that can occur to children when window coverings are present in a home. Only cordless window coverings should be installed in a home with infants and small children. All window shades, blinds and draperies manufactured before 2001 should be replaced with newer cordless versions. One should move all beds, cribs, toys and furniture away from windows to reduce the chances of a child grabbing or getting tangled up in window coverings. All window pull cords and inner lift cords should be placed out of reach of small children and infants. Tasseled pull cord should be shortened and continuous looped cords should be permanently anchored to a wall or to the floor. Make sure that all cord stops are installed correctly and adjusted to limit how much the covering can be lifted up and down. Cords on the window coverings such as horizontal blinds and shades should be in the lock position when they are lowered to prevent the cord from moving. Most people when considering new window coverings for there home are mainly concerned with choosing the color, style and how translucent the coverings will be when hung on a window. Those with children present in the home should also be considering the cord safety on the window coverings to help minimize the chances of accidents. Even though many of the new window coverings include many of the built in cord safety features, cordless window coverings are the preferred style for those with small children or infants. This is especially important in a child’s bedroom or other areas of a home where children often spend time. Cordless designs in window coverings are now becoming more popular with decorators and consumers. Window coverings that are cordless have a more sleek and streamlined design that many now prefer. One does not have to sacrifice style for safety anymore with all the new designs in window coverings.